In this Kenilworth home, alternating tread stairs replaced attic stairs that previously were not up to code. 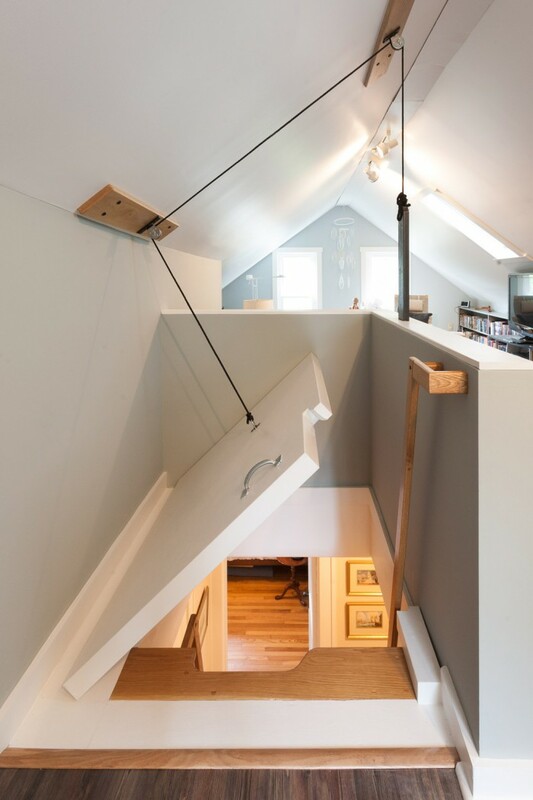 The new stairs lead to a unique weighted hatch door to the attic space used as a family area. 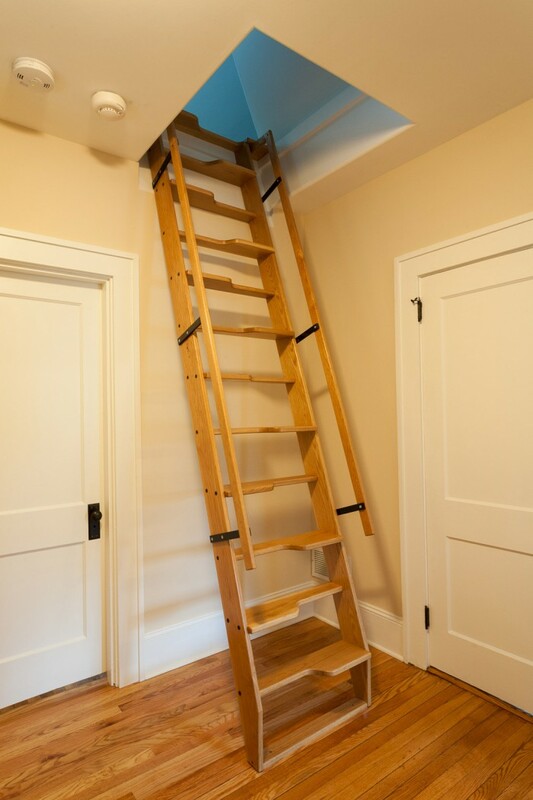 The old attic stairwell space was added to the remodeled master bathroom and closet.